Annerose saves lives even when she doesn't know it. 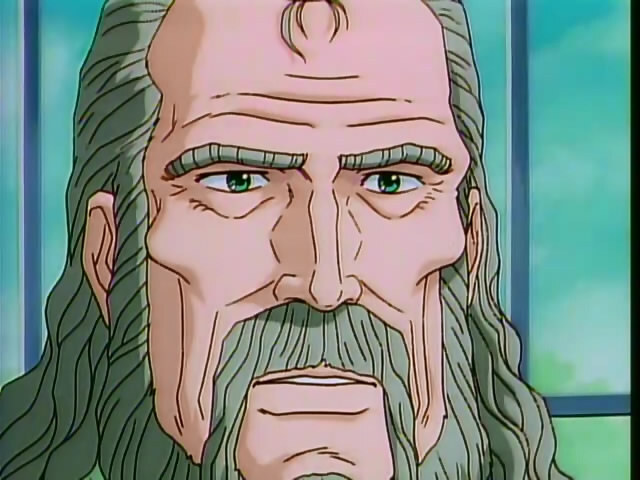 The 2nd episode of Dishonor sees Kircheis move from meal to meal with an attempt on his life in the middle. He first ends up getting invited to dinner by Keyserling, who shares a story of unrequited love before Kircheis as he waits for her arrival at the station. Hoffman then shares more information that reflects poorly on Keyserling. 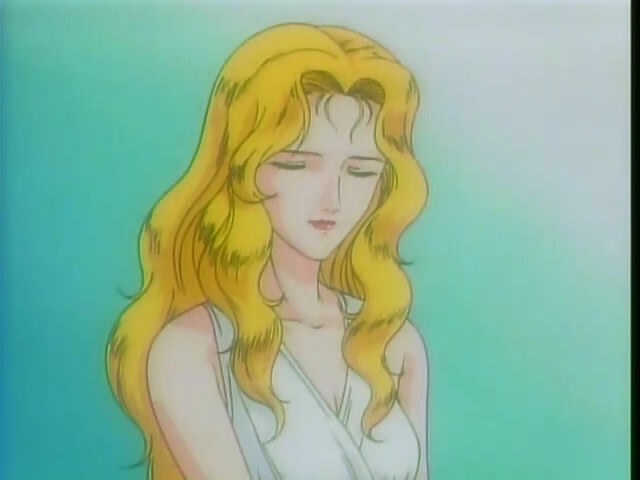 That night, Kircheis is woken up by a dream about Annerose only to be in the midst of an attempt on his life. He finds air quickly enough to save himself, and he discusses the incident with Hoffman who reveals more about Keyserling. Finally, the episode ends as he sits down for another meal with Keyserling. This wasn’t exactly a thrill-a-minute sort of episode in that it even included a 3 minute recap of the last episode in the beginning. First of all was Keyserling’s first meeting with Kircheis. He was there to see Christopher von Basel and his wife Johanna. They had first met together 40 years earlier at the same station, and had not seen each other in 10 years. They would be coming the next day. 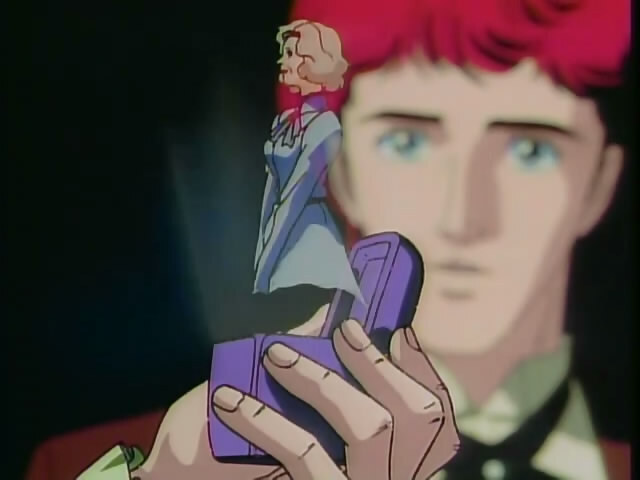 Keyserling then tells Kircheis about Johanna, the only love in his life. He had unsuccessfully courted her all those years ago, but she could only see him as a nice friend. Keyserling never went on to marry because he felt that he could not have enough passion for any other woman because he had used it all up on Johanna. Marrying any other woman would just be fulfilling an obligation and nothing else. Kircheis was surprised that someone who seemed so wise would be responsible for the disaster at Arlesheim. Hoffman then showed up immediately outside the restaurant and knew what Kircheis was up to. He gave Kircheis some tidbits of information, that could be important to the case. Namely that the attacker was a subordinate of Keyserling’s at Arlesheim. However, the implication was that Keyserling was the head of the drug organization even if Hoffman didn’t say so explicitly. Yes, I just conveniently arrived here just as you were recovering from that attempt on your life. Kircheis went to sleep that night fairly unsure of the case before him. Then, a vision of Annerose crying out for him woke him up. There was no oxygen in the room. Luckily, he found an oxygen tank in the dresser next to the bed. Hoffman was quick to get to the room and with other officers there, he gave a theory of the murder attempt. Dry ice was put in the ventilation system, as that evaporated it would fill the room with carbon dioxide which would cause Kircheis to suffocate in his sleep. By morning there would have been no evidence of a crime. Hoffman then went on to begin to criticize the military as he began to offer theories about who was after the two of them. He then also said that the Basels had arrived two days ago. Kircheis seemed ever more skeptical of Hoffman, however. At lunch, Kircheis met Keyserling again, where he confirmed that Keyserling did in fact believe his friends were arriving today. 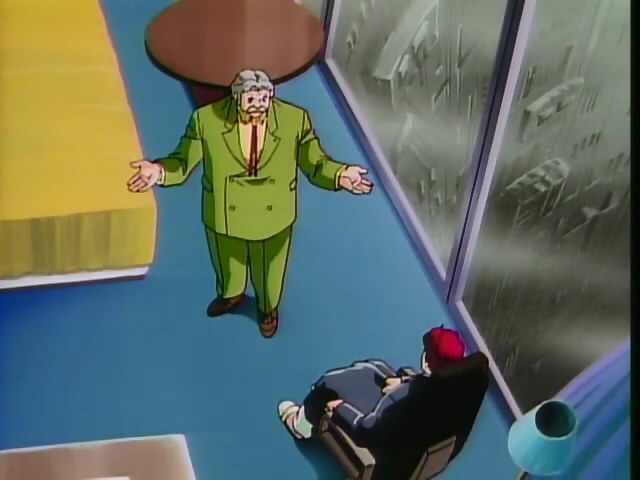 This left one of 2 possibilities for Kircheis, either his friends were avoiding him for a very good reason or he was being lied to by Hoffman. Thoughts: I can’t believe how telegraphed this whole story seems to be. The superintendent who loves detective stories seems to be intentionally leading Kircheis into trouble. At this point it looks like Hoffman is clearly behind everything, perhaps even coordinating with the Terraist cult. Just what has Kircheis gotten himself involved in? Also, Keyserling’s words on Johanna were pretty depressing. He gave everything only to not even be seen as a man. It’s little wonder that he never recovered. I think you’ll be happier with where this story ends up as opposed to where you think its heading now 🙂 I recently rewatched it, and it reminded me why its one of the better “non battle” Gaidens.